Is the California drought actually over? The state of California has been stuck in a drought for five years, but record rain and snowfall in the past week just gave the Golden State some hope it hasn't seen for half a decade. Some places have received 20 inches or more of rain in the past week, and nearly the entire state saw at least a few rain showers. All of this rain put a big dent in improving or ending the drought. A year ago, 100 percent of California was in some kind of drought. Just last week, more than 80 percent of the state was still experiencing drought conditions. This week, however, that number dropped to 65 percent. That much of California hasn't been drought-free since 2011. Most of the rain has fallen in the northern half of the state, so the drought is effectively over in the north. The southern half of the state hasn't fared as well. 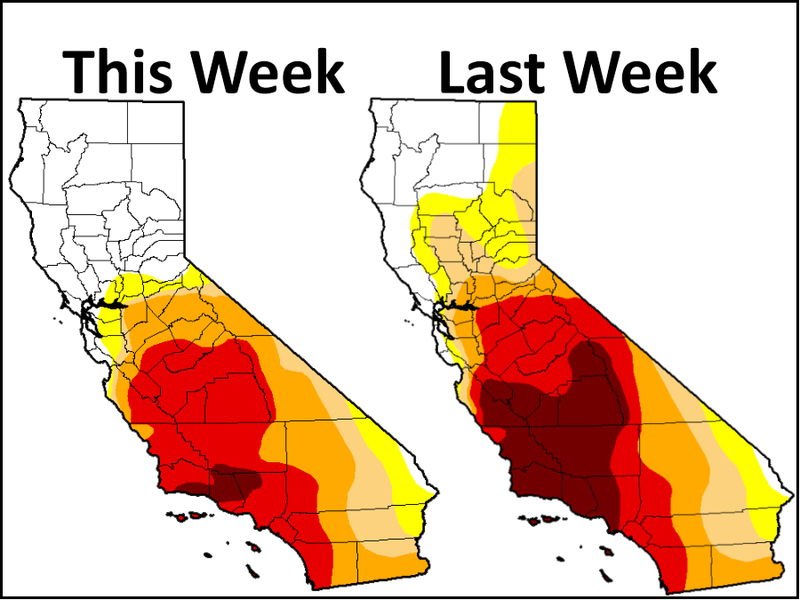 Nearly half of California is still under "severe" or "extreme" drought, and all of it is in the southern half. It's not all bad news, however. There have been big improvements to the drought. Just last week, a little more than 18 percent of the state was in an "exceptional" drought, but most of that has been downgraded to "extreme" drought. 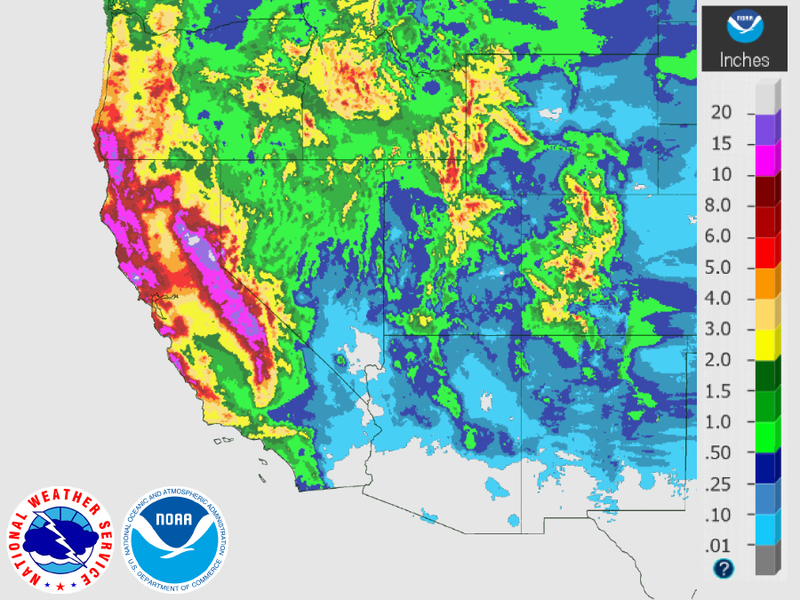 While it may be over in northern California for now, southern California still needs a few more rounds of heavy rain to completely finish off the long-lasting drought in the West.